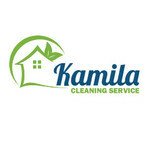 KAMILA House Cleaning Services provides professional maid service meeting all customers’ expectations. Our house cleaning is efficient and exact. We never cut the corners – our team always takes the utmost care about the service quality. We are proud of the fact that our cleaning is completely eco friendly. Using ecologically sound products is a guarantee of the perfectly safe environment without any synthetic chemicals. It depends only on you, how often you want our company to clean your space. We can easily work around your schedule. Our goal is to remain your home spotless until the next time that we’ll come in. We take care of it, like it would be our own – give us a chance to prove it and call for a free estimate today! American Maids is a licensed, insured and bonded family owned company that has been serving the Chicago area since 2005. As a leading company in the industry, American Maids is a trusted, reliable and professional cleaning company that offers comprehensive cleaning services using Green Seal certified cleaning technology at no additional cost to customers. Our current services include maid service on a regular and on-call basis, janitorial services, post construction/remodeling cleaning and cleaning services designed specifically for residential and commercial business in the process of moving locations. As a member of various professional cleaning associations, we follow the latest trends on cost effective techniques and are continuously implementing these techniques to better serve our customers. Our company is also a proud partner of Cleaning For A Reason (www.cleaningforareason.com), a non-profit organization that provides women undergoing cancer treatment with cleaning services in their area. These services are offered free of charge. American Maids is committed to providing each client with unmatched customer service. Our company prides itself upon our dedication to our customers and has won several awards because of it! From 2008-2010, we were featured by Angie's List, and were also listed in “Chicago Best” as the “Best Green Cleaning Company” in 2011. With the highest standards for excellence, our mission is simple and is the reason for our satisfied and loyal customer base. We retain and attract new customers by providing the highest quality service available in the industry at a reasonable price. We understand that you're busy, and we're here to make your life easier. Sweet Home Cleaning Services, LLP. 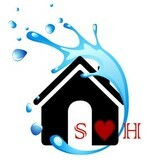 Sweet Home engages and provides residential and commercial cleaning services. Our services Include: 1. Residential cleaning service. 2. Commercial cleaning service. 3. Maid or housekeeping cleaning service. 4. Janitorial cleaning service. 5. Recurring cleaning service. 6. Single time or event cleaning service. 7. Deep cleaning service. 8. Move in / move out cleaning service. 9. Post construction cleaning service. Keeping the home clean no more needs to be your prerogative, considering the hectic schedule you follow. 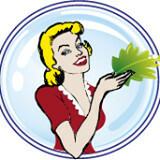 Now you can hand over the responsibility to J and K cleaning service and watch the home sparkle. J and K is a company dedicated to a pollutant free environment. The services offered to you are rendered by professional experts who are specially trained in cleaning and restoring the home to the dust free original condition that it is meant to flaunt. The services offered come to you after much planning and execution of experienced allocation of the different areas of expertise required. J and K cleaning service makes the cleanliness of the home or office in-house business. The expertise extends toward the cleaning of variety of surfaces - vinyl, tile, marble, ceramic, terrazzo, wood, and carpets. The best part about signing up with J and K cleaning services Wilmette is that the help is completely customizable to meet the needs of just about any layout. J and K cleans along the paradigms of a service plan. This differs from client to client. The service plan is drawn up by the in house professionals to consider the needs of the client, budget and the ongoing maintenance required. The service is useful for any size house or office. The pain free maintenance is addressed on a regular basis and is devoid of unnecessary services that are not on the originally drawn schedule. J and K cleaning services Wilmette offers the service of trained staff that are reputed for deploying all proper technique for cleaning surfaces and the right tools. The company is synonymous with its business commitment of honesty and integrity in all dealings. J and K cleaning service is here to help maintain a green and healthy environment! One Company, One Call TruBlue's total house care management solution provides homeowners a convenient, one-stop source for all their interior and exterior house care needs: house cleaning; handyman repairs; yard work, and special projects like accessibility/safety improvements. You no longer need to juggle multiple vendors. With one call, TruBlue handles it all. We take away all the hassles and headaches of maintaining a home, inside and out. In addition, We also service apartment and condominium complexes, neighborhood businesses, vacation home owners and helps realtors get their homes sold fast. Euro Clean Group, Inc. provides cleaning services that cannot be beat. We offer both residential and commercial cleaning services and are experts at each. We can provide cleaning services on any scale--large or small. From the tiniest house to the largest commercial property, our skilled cleaning teams are trained to leave your property sparkling clean and spotless. We provide office cleaning services, commercial cleaning, and maid services. Each member of our team has years of experience when it comes to cleaning, and is highly professional and well trained. When you schedule a cleaning, our staff member will arrive promptly at the agreed upon time. We are efficient and will always perform our job 110%. Clean spaces promote improved mental health--so hire a maid service today! Contact us to find out more about scheduling our services. We are easy to schedule and are able to provide flexible cleaning packages at very affordable rates. Sophia’s Cleaning was founded by Sophia Borek in 1984. Sophia began her first cleaning company as a college student in communist-controlled Poland. Sophia soon realized that in order to reach her full potential, she needed to immigrate to America. In 1984, Sophia arrived in Chicago with hopes for a better life in America. She began cleaning homes to support her family and within a few months began hiring cleaners to work for her in order to spend more time at home with her newborn son, Andre. Throughout the years, Sophia formed a special bond with many of her clients and workers alike. She once went out of her way to help the children of one of her longtime clients pay for and arrange funeral services after a tragic accident. She also helped teach English to many of the cleaners that worked for her and guided them and their families through their first years as American citizens. In 2012, Sophia passed away from a year’s long fight with cancer at the age of 54. She will be greatly missed by both her family and the countless people she made an impact on while running Sophia’s Cleaning Service. A few weeks before Sophia’s passing, her oldest son, Andre, made her a promise that he would keep her business alive long after her death. He understood how much his mother cared for her company and believed the best way to honor her memory and keep Sophia’s spirit alive was through the business. Here at Sophia’s Cleaning, we are dedicated to establishing a new cause for our company. Our “Cleaning for a Cause” initiative donates a portion of each cleaning visit to cancer research in Sophia’s name and provides free cleanings for local families who have loved ones fighting Cancer. At Cater 2 U Cleaning, the ultimate goal is to exceed the customers satisfaction. To clean in a quality and timely fashion. APLUS Building Systems deals with professional commercial cleaning. Leading a business is an absorbing task and there is often no time for cleanliness maintenance. That’s how our idea for establishing office cleaning company was made. Our mission is relieving customers and enabling them to feel happy in spotless place every single day. Our janitorial services are the ones of a really big interest. That is what motivates our team to constant skills and efficiency improvement. The truth is that first thing that potential client often pays attention to, is just cleanliness in your office. We ensure you, that with help of our office cleaning company, your impression will be a beginning to further cooperation. FINDING TRUSTED HOUSE CLEANING SERVICE FOR YOU. We know inviting someone into your home is a big deal. All House Keep-Up Co. maids are carefully vetted by us so we choose the right person to care for your home. What should I expect from a house cleaner in Barrington, IL? Most professional Barrington house cleaning services will do the same tasks for a basic residential cleaning job: clearing dust and cobwebs from all surfaces and fixtures; wiping all surfaces, including sinks, tubs, counters mirrors; cleaning tile; vacuuming and mopping. You may want to have different rooms detailed at different times, so ask about doing a rotating schedule if you want them to pay extra attention to each space (like kitchens and bathrooms) every other cleaning. Some house cleaning companies in Barrington, IL will also offer additional services such as window washing or appliance cleaning, so ask about incorporating them into your deal or doing them as a one time thing if you’re interested. Pick up any clutter (laundry, toys and other gadgets) and put pets in a secure spot so they feel safe and don’t get in the way of the Barrington house cleaning company. Put out any specific cleaning products or tools you want used, and make sure to lock up any valuables that you don’t want disturbed. Most housekeeping services in Barrington, IL will enter with a spare key or garage code, but if that isn’t something you’re comfortable with then you should arrange for them to come when you are home to let them in. Typically Barrington house cleaners expect payment at the time of cleaning, so ensure you have the appropriate form of payment (cash, check or credit card) on hand, plus a little extra for tip if that’s your style and they do a great job. Find Barrington house cleaning services on Houzz. Narrow your search in the Professionals section of the website to house cleaners in Barrington, IL and contact local companies to ask questions and get quotes.